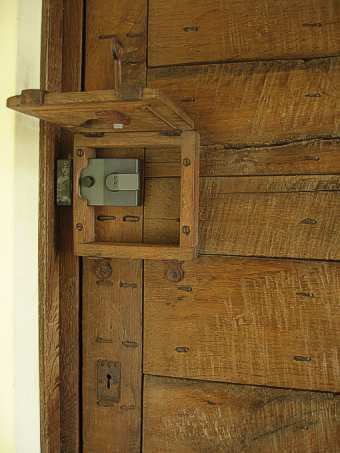 Old fashioned oak lock-box with hand-forged iron straps, incorporating discrete hinges which allow the front panel to swing upwards, revealing a modern security latch. 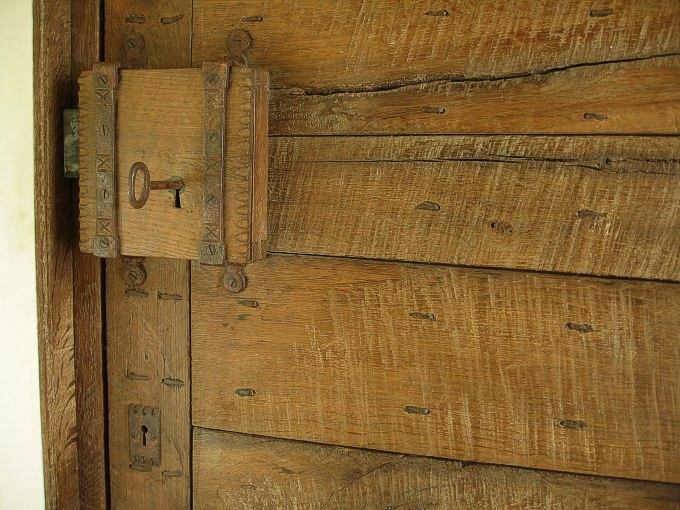 Note also the hand-forged iron escutcheon plate and varying length old fashioned nails, cleated over on the doors' inside face. We use plain steel slot head screws (hard to find nowadays) and re-work the heads to look like old hand made screws. All the iron work is prematurely rusted.